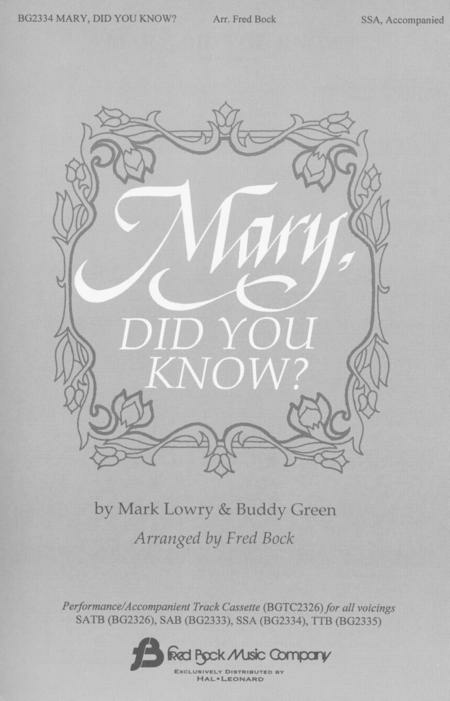 Composed by Mark Lowry and Buddy Green. 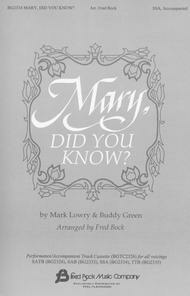 Arranged by Fred Bock. Fred Bock Publications. Christmas and Sacred. Vocal score. With vocal score notation, lyrics and piano accompaniment. 11 pages. Fred Bock Music Company #BG2334. Published by Fred Bock Music Company (HL.8739003). This is a gorgeous arrangement and of challenging ability. Our Trio love it and those who have heard it love it. Very moving to sing. 11 of 26 people found this review helpful. This song has some minor harmonies that make it a bit difficult. The sopranos also do not always have the melody which can be a challenge for them. We added a slideshow at our concert and it was very lovely. This arrangement is a bit challenging for out local community chorus, but the song is SO beautiful and the message fits the holiday theme. We know our audience will ove it! 42 of 83 people found this review helpful. I think this song is very pretty. It is good for early beginners because you don't have to use the left hand if you don't want to. 49 of 87 people found this review helpful.